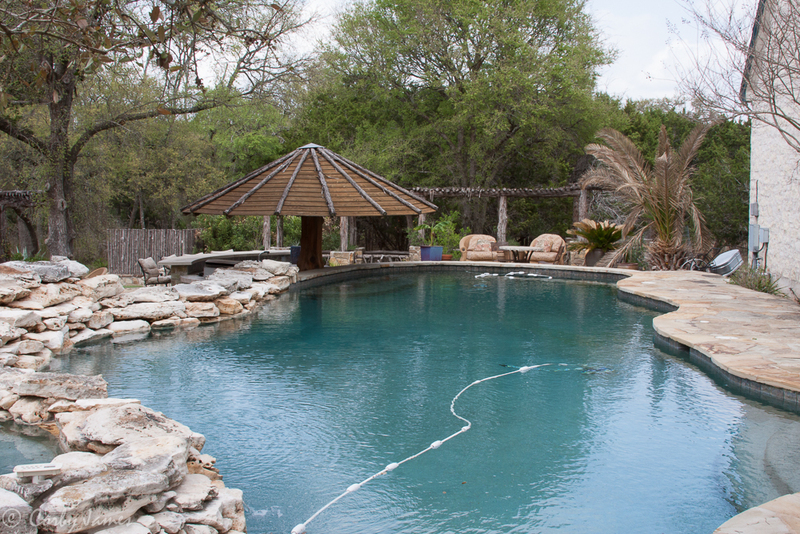 Unless otherwise negotiated, underwater shoots will be in the pool at my house just outside of Austin, Texas (see contact page for map). 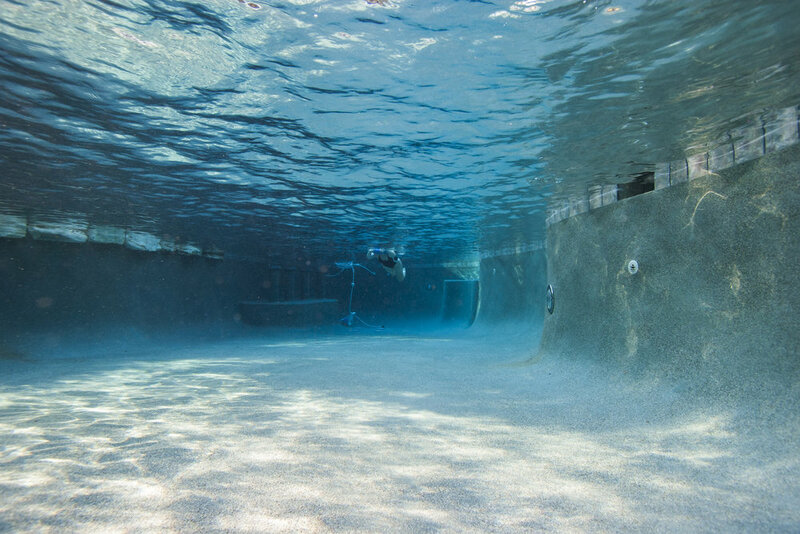 The salt water pool (meaning it is easier on the eyes) seen below, has a maximum depth of 7 feet. It has multiple entry points and plenty of shallow areas for those that aren't strong swimmers. There is a bathroom and changing room right off the pool for your convenience. We try to keep the pool temperature in the 80s for shoots unless otherwise directed. And yes, it has a swim up bar for use AFTER the shoot. If you are new to underwater modeling, follow this link to a guide to underwater modeling. How comfortable are you underwater? Can you swim? How long can you hold your breath underwater? What do you want to get out of the shoot? Your answers might be: modeling portfolio shots, publication images, or something as simple as a new Facebook photo. What if any concepts do you have for the shoot. Ideas here could include inspiration shots that you have, wardrobe you want to use, props, etc. Are there colors or textures you want to use? We have a variety of backgrounds and wraps we can use. How much post processing / retouching do you want? How many shots are you after and what kind of media do you want? Even though the pool is shallow and we work with a support team during the shoot, safety is still paramount. We ask that any children that might be involved in the shoot or accompanying a client be managed by another adult at all times during underwater shoots. Any children under 12 must be accompanied by an adult while in the pool and use a floatation device if they are not competent swimmers. We'll start with a tour and show you where to get ready. As soon as this is done, our hair and makeup artist(s) will work their magic. If you want to do your own makeup, please remember to use all waterproof makeup. Next, we'll do a few surface shots to get an idea of how to light and pose you. After this, we're ready to get you in the pool. The shoot itself will vary greatly according to what we are trying to get, but there are a few principles to always keep in mind. Posing underwater can be challenging. You want to look as natural as possible while at the same time not sucking a bunch of water up your nose. Remember: IF IT DOESN'T FEEL RIGHT, COME TO THE SURFACE. Unless it is part of the pose, don't blow bubbles or hold air in your cheeks. Lots of underwater shots involve leaning your head back so you are facing the surface. Be prepared to get some water up your nose when you do this. If you wear contacts, take them out before we shoot. Let us know that you can't see. Go slowly. A common mistake is for a model to tire out during a breath hold session because they didn't give themselves enough time between dunks. Take your time and have fun. For those that are comfortable with SCUBA, we will have an assistant in water with an extra long second stage that you can use in between shots to extend the time you are underwater.